Thank you for drawing attention to this exchange. There has been a degeneration of contact with the working class in the comments section over the years. When there was a letters section, there would frequently be long and thoughtful engagement with workers who wrote in with questions or disagreements. This is clearly no longer the case. Here we see a perfect opportunity to engage with a worker, explain the limitations of trade unions as they stand, and perhaps even develop further contacts within the rank and file. Instead, the first response is to attack and alienate. Rather than patiently explaining in an effort to meet the worker where he is and bring him into socialist consciousness, the approach is to spar and (attempt to) defeat, as if the worker were standing trial. This, from an official voice of the party! This exchange is a very good (and unfortunate) illustration of what happens if one approaches with a question presently. How is it expected that such exchanges are going to gather in workers and show them that this is a party with their interests? Apparently, one has to have sprung fully formed from the head of Marx to be considered worthy of respect or cultivation. I find it interesting that after maintaining this blog for several years now, you've only just discovered the ICFI's position on the trade unions and that this supposedly makes them enemies of the working class. Of course, even the most casual reader of the WSWS knows that during that entire time their position on the unions hasn't changed at all in any fundamental send. That is, that the trade unions are no longer organizations which any political or economic sense represent the interests of their work force. They are corporate management syndicates that cannot be reformed to represent the interests of their workers and will only carry out betrayal after betrayal of their members. What has changed for you then? I think it's fair to assume that during the extend period wherein the unions carried about their betrayals with seeming impunity, pushing rotten contract after rotten contract on workers, refusing to strike while hundreds of thousands of relatively decent paying jobs were lost, the WSWS was harmless to you on that score. Maybe they were right, but after all who needs to lose any sleep over a lone voice in the wilderness? Better to try to convince them and their supporters that the deepening contradictions of capitalism don't lead to the open struggle of the working class. One should concentrate on psychological questions instead. Now that workers are beginning to break free of the straight jacket of bourgeois politics and are striking out on their own, you've suddenly "discovered" that the WSWS is anti-worker. As far as Eric London's responses to SFulmer were concerned, they were completely correct. There is a difference, after all, between a worker who is naive and confused about the role of the unions and another who has an extensive history of collaborating with the bureaucrats and openly defending their line. And what is that line? 'If we strike, the police will resist us and we'll embarrass the bourgeois liberal politicians we've offered support to. Therefore, we shouldn't strike and maybe, just maybe, they'll offer us a few crumbs for our good behavior.' This is the perspective you're now defending. Also, a reminder for you and any disgruntled ex-SEP members who support you. This is politics, not a kindergarten class. If you think political tendencies should be evaluated based on their ability to hurt feelings, then you shouldn't really be involved in politics. The class struggle is not an abstract phenomenon. It moves through real people. I can only shake my head whenever you feel compelled to decry any legitimate criticism of political figures based on their actual political history as "ad hominem" for the thousandth time. More importantly, the fact remains that the unions are widely distrusted, and in many cases, openly hated by the workers they purport to represent. Contrary to what Christie S. believes above, such criticism does not deter the most politically active members of the working class, but provides them with the perspective they need and arms them for the struggles to come. The sheer stupidity of your comment leaves me breathless. You are against any attention paid to psychology but see no problem in your infantile speculation about what motivates me. You make a patently false statement that the SEP has not changed its position on unions. We have shown at least a half dozen times that the SEP was at one time opposed to Right to Work Laws and today they see no problem with the Janus decision. You also claim that workers are breaking free of the straight jacket of bourgeois politics. Well there is certain a rise in militancy in the working class but considering that millions of workers, perhaps a majority, support Trump - while millions more support Democrats - what is your evidence that they are breaking free of bourgeois politics? You continue the character assassination of the union activist that Eric London began. He is not here to defend himself but from his remarks he doesn’t seem at all like someone who “has an extensive history of collaborating with bureaucrats” or who is opposed to strikes in order to curry favors with liberal politicians. With an attitude like that toward workers who may be politically confused, I wonder how you would do if you actually had to put down your computer keyboard and go out and speak to workers? Can you tell me how many workers you have convinced to become revolutionary socialists? My guess is that in the unlikely event that you would actually try to speak to a group of workers, once you opened your mouth they would run you out of town. You are just exhibiting the contempt for the working class that now marks the SEP. I published your comments as an educational moment - to show how far SEP sycophants will go in expressing their contempt for the working class. Reese - you write: "Contrary to what Christie S. believes above, such criticism does not deter the most politically active members of the working class, but provides them with the perspective they need and arms them for the struggles to come." How so the personal attacks to which the apparently pretty active SFulmer is subjected in any way pro-worker? How, importantly, would it encourage workers who read such attacks to seek more information? Frankly, watching questioners or commenters who are not exactly in line with the party's outlook become the targets of such tirades was something that wore thin while I was in the party - as an outsider, I seriously doubt it would spur me on to apply or engage further. I do know that this approach was not always the case - certainly it was not in my early years with the party. As for the position of the SEP on the unions - yes, they have always declared them to be corrupt and that the *bureaucracy* was not working for the workers - that much is correct. However, they would not in years past have hailed a decision such as Janus so unreservedly and without analyzing the effect this would have on the rights of the workers to organize. Such analysis is imperative. Even if Frank Brenner is unwilling or unable to defend his writings here, at least he can depend on you. As far as my attitude towards your motivations are concerned, I couldn't really care less. My criticism is based entirely on the political positions you've publicly taken on this blog and their logical implications. Whether you honestly believe you're operating as revolutionary socialists or engaging in an act of conscious political deception is beside the point. You now traffic in the politics of the upper middle class. Ultimately, whatever your political intentions, your positions lead back to support for the Democratic Party, whether it be through your defense of the trade union bureaucracy or your current support for the #MeToo movement and its rolling back of fundamental democratic rights. As far as the WSWS' position on Right to Work law is concerned, I would encourage you and your readers to review the following which was posted as far back as August 11, 2018! https://www.wsws.org/en/articles/2018/08/11/miss-a11.html You are absolutely correct in saying that once upon a time (2 days ago) the WSWS supported Right to Work laws. The problem here, I think, is that you don't understand the nature of that support. If you don't mind my saying so, the starting point of your argument is how such laws operate within the framework of bourgeois legality. You're not considering the attitude of the working class. In the case of the Janus decision, this was a defense mounted by the union bureaucracy to preserve the dues check off system. In other words, in exchange for receiving money automatically deducted from workers' paychecks, i.e. directly from the employers, the unions actively work to promote employer/employee peace. As AFSCME's lawyer so famously said during the court proceedings, "Union security is the trade off for no strikes." By contrast, workers in Missouri saw the Right to Work law as an attack on their fundamental ability to organize themselves and overwhelmingly opposed it. And this, by the way, was in a state that voted for Trump. Can you see the difference now? The position taken in both cases reflects the support of the WSWS for independent political action of the working class whether directed against the trade unions and bourgeois liberalism or directed against bourgeois reaction. One final point. Your attempts to taunt me also betray your fundamental misunderstanding of the political responsibilities of a revolutionary. I am quite honored to have introduced hundreds and in fact thousands of workers and young people to the Trotskyist movement. Many of these have become active sympathizers and some have even become members of the Socialist Equality Party. Believe it or not, a lot of this work didn't involve the use of a computer keyboard--I defy you to try running a few miles with me if you're really prejudiced enough to think I'm some kind of armchair socialist living in my mom's basement:)--but honestly, who cares? Ultimately, the crisis objectively brings workers into struggle. Clever arguments only assist this process. At the end of the day they never drive it. I've spoken to many workers in person and the only hostility I've received is from trade union thugs (yes I know they're trade union thugs because at least they're kind enough to wear union T-shirts when they see me talking to members) and police, never from the workers themselves. And by the way, I ask you and your readers who has the greater contempt for the working class, the man who slanders them as Trump supporters or the one who views their struggles with optimism and hope. Correction to my last post. Should read "You are absolutely correct in saying that once upon a time (2 days ago) the WSWS opposed Right to Work laws. ", not "support" Right to Work laws. Apologies for any misunderstanding. "Comrade" Brenner and his supporters have set up a skirmish line that is covering the headlong retreat of a host of pseudo-left organizations into the arms of US imperialism. From this rear-guard position they hurl accusations that the WSWS and the Socialist Equality Party has 'contempt" for workers, and yet it is these workers who are increasingly turning to the SEP for leadership. The present situation is fluid and increasingly explosive, as workers break from these rotten corporate and state-sponsored police agencies misnamed "unions". Amazon, UPS and workers from auto and other industries are calling for a united fight. The unions are frightened of this, as are the tepid reformist apologists for capitalism like Brenner. What other organization except the SEP and the ICFI even states, let alone sets as its central strategic goal, the overthrow of capitalism by the working class. Can you elaborate on why you think the Right to Work ruling in the Janus decision is progressive but the Right to Work legislation in Missouri is reactionary? The idea you propose here that the 'attitude of the working class' at a given moment on a given issue should determine the principled approach of socialists to ruling class attacks on the right of workers to organize is very strange and unheard of in the movement's history. Note that supporting one but not the other is a particularly nonsensical position given that Janus involves the same exact issues as the Missouri law: at stake in both (and all Right to Work efforts) is the legal right of unions to impose mandatory dues or fees on their members as a condition of employment. Just a few weeks ago SEPers were on this site voicing their outrage at the idea that workers could be compelled to pay any kind of fee to scab organizations like unions and insisting that there's nothing wrong with purely 'voluntary' open shop unionism. How is it that the tune has so clearly changed once again, and now not being forced to pay dues (the union shop) is depicted as an "attack on their fundamental right to organize"? What happened to the insistence that the right of workers to protest the union by withholding dues should trump the unions' right to finance its existence, particularly in a context in which the SEP claims (incorrectly) that all unions everywhere are simply scab organizations that drive down wages and make things worse for workers wherever they exist? Remember that the WSWS very clearly argued in their Janus piece that these kinds of laws are not only -not- an attack on organizing rights, but that they should be celebrated as a defeat for the AFL-CIO bureaucracy and a harbinger of future labor militancy. Eric London on this site insisted that open shop rules would actually benefit the workers by increasing union accountability. What accounts for yet another dramatic shift in the political line? The article you point to here is trainwreck (including ludicrously false claims like "most giant corporations now view the unions as indispensable partners"), clearly intended to reconcile two mutually exclusive positions. It ends by deferring to socialist orthodoxy, describing RTW laws as "an attack on the democratic rights of the working class, aimed at creating a political climate in which any genuine effort by workers to organize independently and fight the capitalist class is criminalized." But again: why doesn't this also apply to Janus, a lawsuit brought by the same right-wing forces behind state Right to Work laws and endorsed by the fanatically pro-business Supreme Court majority? "The following is an exchange in the comments section of an article on the World Socialist Web Site on plans by ICE to escalate its raids on workplaces to deport immigrant workers. http://www.wsws.org/en/articles/2018/07/26/pers-j26.html Specifically it’s an exchange between a union activist called S. Fulmer, who objected to anti-union assertions in the article, and the article’s writer Eric London. I think it’s worth reading because it vividly illustrates the point we’ve been making in our two previous posts on how the SEP has crossed a class line by its support of the Supreme Court’s unionbusting Janus decision. Just consider the way this worker is treated." OUTRAGEOUS. How can a Marxist speak to an honest worker this way? Karl Marx to Wilhelm Weitling, an honest worker: “Ignorance never yet helped anybody.” Eric London was channeling the master, maybe? When is PR going to raise this debate to a higher level by plumbing the philosophical depth of WSWS' apostasy as in the good old days of the "practice of cognition"? Will Brenner and Steiner ask the WSWS for SFulmer's email in order to have a 'proper' conversation with this honest worker? "What good has wsws/PR/UNIONS been from stopping these continued raids? Talk is cheap." Thank you for your salient comment. Mr. Reese is an Internet troll of no consequence so I do not take him too seriously. Patrick Martin however, the author of the piece you discuss, is someone for whom I once had a lot of respect even after we wrote our critique of the WSWS. That he is now talking out of both sides of his mouth to defend an indefensible position is a good indication of the level of political corruption in the leadership of the SEP. The problem with your analysis is that that it draws an equals sign between Right to Work and the Janus decision. In the latter case, the WSWS represents the decision as a defeat for the unions and not for the workers. What is meant by this? The Janus decision, if you weren't aware, rolls back the mandatory collection of agency fees by public sector unions. The decision robs them of their ability to steal money from the workers who they in no way represent and channel it instead into their own inflated salaries and perks and into the campaign funds of Democratic politicians. In the former case, it is a question of the working class fighting for their fundamental right to organize, not fighting for the right of existing trade unions to represent them and contain their struggles. Both cases are representative of an intense struggle being carried out by the ruling elite over the role of organized labor in either containing or possibly expanding the struggles of the working class under conditions of intensifying crisis. The standpoint of genuine Marxism is to fight for the independent interests of the working class in all such cases. This is precisely why the WSWS continuously calls for the formation of rank and file committees to take the struggle out of the hands of the unions which inevitably would lead to betrayal. Marxists do not fight for the "right" of the trade unions to continue to collect funds from their workers with zero accountability. In believing that they've found an Achilles heel of the ICFI through its opposition to the dues check off system and the trade union bureaucracy more generally, Steiner and Brenner are once again revealing their hostility to the revolutionary capacities of the working class. For them, the working class only supports Trump or the Democrats. Every strike, every protest is ignored and we are told by Frank Brenner that we have to look instead to "modern civil rights" movements such as #MeToo. The fact that this movement eliminates due process and the presumption of innocence is really of no concern to them. I'm not going to assume that you support the politics of Steiner and Brenner, but if you do, you should seriously consider the implications of such support. They have aligned themselves politically with Syriza in Greece which is now fully complicit on attacks on Greek workers and refugees. Should similar political tendencies such as the DSA rise to power in the US and carry out similar attacks, no doubt Steiner and Brenner will support them as well. I would encourage them to reverse course as well, but I think after all this time they're too far gone. You are a bold-faced liar. You claim we said that all workers support either Trump or the Democrats. What I actually said was "that millions of workers, perhaps a majority, support Trump - while millions more support Democrats." This was in response to your absurd statement that workers "are beginning to break free of the straight jacket of bourgeois politics." Of course there are other workers who are disgusted with both capitalist parties and still others who may be looking for an alternative. The rising popularity of the DSA is certainly an indication that socialism is now a topic on the political agenda in the U.S. after having been ostracized for the last 75 years. But to equate the signs of rising militancy in the working class with "breaking free of bourgeois politics" as you did tells me that you never learned the ABC's of Marxism or you would know that working class militancy is not the same as breaking free of bourgeois politics or bourgeois ideology. Just read anything Lenin wrote in his fight against Economism. Furthermore you claim that it is a slander against the working class to make the observation that many workers support Trump. I guess you must have been living on another planet as well as in your mom's basement not to notice the reams of political analysis since the 2016 election trying to explain why Trump has such significant support within the working class, particularly among older white workers, but by no means only that group. Trump even got a majority of support from white working class women voters in the 2016 election, despite the exposure of his mysogynistic behavior. Of course Trump also received sizable support from well to do middle class suburbanites. We didn't make up these demographics. They have been commented on and digested by literally hundreds of investigators trying to make sense of the 2016 election and the support Trump still can call on from these quarters despite his anti-working class policies. Your blindness to what are simply facts is typical of the delusional world you live in. There is no point in continuing a discussion with a slanderer like you who is so untethered from reality. I'm not sure if you simply don't know what Right to Work means or if you're deliberately attempting to muddy the waters. As I said before, Right to Work initiatives -by definition- roll back the legal right of unions to impose mandatory fees via union and agency shop agreements. This was the exact issue involved in Janus, backed by the exact same pro-business forces (in that case, the National Right to Work Foundation) and with the exact same objective as RTW laws passed by state legislatures. I'm drawing an equals sign between Janus and the Right to Work campaign because they're obviously the same thing. The right to levy compulsory dues is often described as an organizing right (and has been such a huge focus for both unions and big business historically) because the ability of unions to raise funds is and always has been foundational for organizing and collective bargaining. What other right did you think was at stake in Missouri? And again: what accounts for the dramatically different line on the Janus ruling vs. the Missouri law, and at least half a dozen other past WSWS articles on the subject? That you go on to emphatically declare that "Marxists do not fight for the 'right' of the trade unions to continue to collect funds from their workers with zero accountability" only makes your position even more bizarre and incoherent. Again: which is it? Do socialists unequivocally defend the right of unions to establish union/agency shops (i.e. "collect funds from their workers with zero accountability"), won by bitter class struggles in the 1930s and enshrined in the NLRA, or is this "right" a reactionary sham, which serves no purpose other than forcing workers to keep lining the pockets of union bureaucrats against their will? You can't have it both ways here. I'm assuming the nearly half of your comment denouncing Steiner and Brenner (who I literally never mentioned) is an attempt at deflection, but a straight answer on these issues (and explanation for the radical zig-zags in political line and constantly shifting arguments) shouldn't be that difficult. That this is even a controversy for a supposedly socialist organization is incredible. Despite the WSWS' patently false claims that big business is now pro-union and the Right to Work campaign has transformed into just an example of ruling class partisan infighting, Right to Work is not a new development or complicated issue. It's a straightforward question of the basic rights of workers to organize under capitalism vs. attacks on those rights by the capitalist class. It's pretty difficult for a socialist to see their "revisions" on this issue as anything other than an extreme shift to the right. Notice that Steiner did not reply to Reese's central point, which was that, throughout the course of his and Brenner's multi-week tirade against the WSWS coverage of the Janus decision, Steiner and Brenner have equated the closed shop with the automatic dues checkoff. These are different phenomena with different histories and different functions, as Patrick Martin explained in his article. Moreover, the WSWS hardly seems to have celebrated the Janus decision, instead saying that it was not a defeat for the workers. That doesn't mean it was a victory for them. Steiner, the master of dialectics, can't even get that! One is not obliged to agree with an opponent, but one should at least avoid misrepresenting their position. Once again thank you for your cogent deconstruction of Reese’s verbal gymnastics in trying to defend a shocking betrayal of the principle of working class solidarity. It’s true that I did not respond to all of Reese’s slanders. 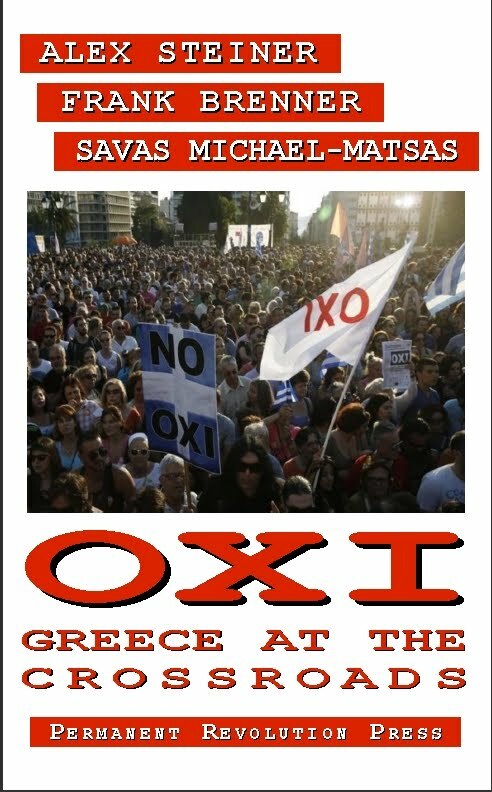 For example, the lie that we suported Syriza in Greece. By the SEP’s own logic the Janus decision was a victory for the working class. Why wouldn’t it be? It prevented those “reactionary unions” from stealing money from workers. Isn’t that a plus for the working class according to the twisted logic of the SEP? So I fail to see why the SEP would not celebrate the Janus decision. I think it’s pretty funny that you ask us to avoid misrepresenting an opponent’s position while defending the comments of Reese. Steiner, I don't know how you have the patience to calmly dispatch the stupidity (and arrogance) of the WSWS apologists that flock over here. Even Mr Cortwright, who said he'd never comment here again, has showed up time after time. But recently he doesn't even attempt an argument; just pure hand waving. The conflation of the union shop with the dues checkoff is actually a glaring and extremely deceptive part of the approach taken by the WSWS recently, repeated again and again by SEPers on this site. The piece on Janus worked overtime to create the impression that the issue at stake wasn't the agency shop (a legal-political issue) but the dues checkoff (a logistical issue). But of course the dues checkoff is not the issue. Unions can and do use automatic payroll deductions to collect fees in Right to Work states and will continue to do so after the Janus decision. This myopic focus on the dues checkoff is almost certainly deliberate and intended to miseducate. Anyone who's familiar with union issues knows that the checkoff is a separate question from legally mandating open shops, but the WSWS hammers on it precisely because it so effectively confuses the issues. This also clearly explains the legions of SEPers here who've been been adamant that the issue in Janus was the checkoff and the main issue in all of this stuff is how dues are paid. Reese's comments, claiming that Janus was not a Right to Work case and that it involved "a defense mounted by the union bureaucracy to preserve the dues check off system," are a case in point. Before he went MIA, Eric London did the same thing. If someone's only source of information is the WSWS and they swallow whatever it prints without question, it's not at all surprising that they'd come to this conclusion. And the WSWS' depiction of the Janus ruling as a victory wasn't stated explicitly but clearly implied by the content of their article. In what way is freeing workers from the tyranny of compulsory payments to scab organizations - "workers have absolutely no interest in upholding the power of the unions to forcibly extract dues" (a position blatantly contradicted by their Missouri article) - not a victory? That piece might literally be the only one from a nominally left-wing source that doesn't have a single critical thing to say about the Janus ruling, which is legitimately incredible given that it was one of the most cynical, politically motivated and reactionary decisions (tossing out decades-old legal precedent to decree that workplace organizing violates free speech!) from the most overtly pro-business, anti-worker Supreme Court in years. Perhaps it would be best for the purposes of this discussion to quote from the Janus decision itself to determine its implications or lack thereof for Right to Work more generally. I'll assume that my opponents in this debate aren't overly blinkered--with one notable exception--and that this presentation will have an honest impact on the discussion. Service is similar. Although permitted to choose an exclu­sive representative, Postal Service employees are not required to pay an agency fee, 39 U. S. C. §§1203(a), 1209(c), and about 400,000 are union members." Further, it notes, "As noted, un­ions represent millions of public employees in jurisdictions that do not permit agency fees. No union is ever com­pelled to seek that designation. On the contrary, designa­tion as exclusive representative is avidly sought." There are pages after pages of the court's opinion drawing a distinction between the closed shop and the collection of agency fees. Why is that? Because this is precisely why the plaintiff brought the case in the first place, because he didn't want to personally subsidize a union whose political speech he disagreed with. The case does not deal with the rights of a union to be sole bargaining representatives. Most of the case revolves around the overturn the 1977 Abood v. Detroit Board of Public Education decision passed in 1977. The original decision revolves around the compulsory payment of agency fees by non-members represented by public sector unions. Simply put, the Janus v. AFSCME decision ruled that public sector unions may not collect fees from non-members. The majority decision wrote that the unions could not violate "the free speech rights of nonmembers by compelling them to subsidize private speech on matters of substantial public concern." I'm only trying to lay out the facts of the case here. I think it's fair to assume that the WSWS does not in any way politically support the cabal of reactionaries on the Supreme Court and probably doesn't support Mr. Janus himself who left his public sector job in Illinois shortly after the decision to join a conservative think tank. I think the problem here is one of adherence to that classic false dichotomy of American Politics, Democrats vs. Republicans, traditional trade unions vs. free market zealots etc.. A defeat for the unions must be a defeat for the workers according to this perspective because the workers don't have any other way of having their interests met. In fact, by claiming that pretty much all workers--with perhaps a couple of inconsequential outliers--support either the Democrats or the Republicans, Alex Steiner does indeed reveal his contempt for the independent political initiative of the working class and for the working class more generally. It was only in 2016 that 44 percent of the voting age population in the US didn't vote at all. How does that connote widespread support for the Democrats and the Republicans? Moreover, several polls revealing growing preference for Socialism over Capitalism I guess are of no consequence. Finally, I know some may be upset that I've made connections between their statements and those of Steiner and Brenner. That's understandable. I'd certainly be upset about that too. You are, however, posting on their blog so such connections must be made. You could have gone anywhere on the internet to write about politics but you came here after all. Unfortunately nothing you've said here adds anything new or answers any of the straightforward questions I posed earlier. The basic issue at stake in Janus, Missouri and other Right to Work cases isn't at all controversial. Anyone who's read the Wikipedia article or one of a thousand different MSM pieces on this issue should know that these RTW efforts revolve around prohibiting unions from imposing mandatory fees or dues. I've personally explained this several times now. You say it's fair to assume that the WSWS does not support the cabal of reactionaries at the Supreme Court but this is obviously not at all fair to assume. They issued a perspective document in their party newspaper hailing a ruling by that same cabal as having dealt a welcome blow to the unions and justifiably prohibited compulsory fees, a position that clearly implies support for the Right to Work campaign. What used to be the SEP's serious and nuanced Marxist analysis of the unions' corporatist degeneration has morphed into a comic book union-bashing that's increasingly unhinged and disconnected from reality. Their prior opposition to corporatist unionism has now become an hyper-sectarian hostility towards unions as a universal rule, depicted as intrinsically reactionary institutions that should be destroyed wherever they exist. The SEP's official line as far as I can tell is now that workers should join with management in fighting against any attempt at unionizing a workplace, that current union members should simply resign and that workers are actually better off negotiating with employers on their own. None of this suggests that this group should be given the benefit of the doubt. The fact that they call themselves Marxists means very little. Past and present is full of examples of 'Marxist' groups that have undergone severe degeneration, turned to the right and betrayed fundamental socialist principles. Extremely small, insular sects cut off from the working class are especially susceptible to going off the deep end. Lastly I'd be happy to post my comments on the WSWS instead of here. But they have a bad habit of deleting critical comments to make sure the vast majority of a thread is sycophantic and cultish Stalinist-style praise for the brilliance of the posted article and the invincible genius of the SEP. If you can convince them to change their editorial policy I'll gladly return to commenting there. Thank you Anonymous once again for your exposure of Reese's attempt to put lipstick on a pig. And you are welcome to post your contributions here in addition to the WSWS if they will allow them. "A defeat for the unions must be a defeat for the workers according to this perspective because the workers don't have any other way of having their interests met." The logic here is extraordinary. Suppose we agree that workers have other means at their disposal to defend themselves besides unions. ( While its certainly true that workers have other means at their disposal, I would still want to ask Mr.Reese what he thinks those other means are? I don't see much evidence that the SEP's "rank and file committees" are doing much of anything.) Does it then follow that a defeat of the unions is beneficial to the working class? It's something like saying that there are two horses pulling my carriage and a bandit just killed one of the horses. Should I celebrate the death of this horse because I still have another horse to pull the carriage? "... by claiming that pretty much all workers--with perhaps a couple of inconsequential outliers--support either the Democrats or the Republicans, Alex Steiner does indeed reveal his contempt for the independent political initiative of the working class and for the working class more generally." This is the second time I have to indicate that I never wrote that 'ALL' or 'pretty much all' workers support either Democrats or Republicans. And I certainly never said that only "inconsequential outliers" are an exception. I have been very generous in publshing Reese's comments despite the fact, that must be obvious to any objective observer, that he is arguing in bad faith and is a serial liar. But I see no point in continuing to do so if he insists on making the same misrepresentations over and over again even after they have been brought to his attention. It takes two people agreeing on some basic principles of civil discourse if there is to be a genuine exchange of ideas. That is not the norm on the Internet, where all kinds of garbage is allowed and even encouraged, but I am attempting to set a little higher standard here while at the same time trying to avoid the kind of censorship that is typical of the WSWS. First off, thanks for posting my comment once again if this indeed does get posted. If nothing else, I can appreciate you for that. As far as Anonymous's claim that his or her postings do not get published on the WSWS discussion forum, I can't really speak to that as I've never moderated such a forum myself. It is interesting though that the Frank Brenner blog post above largely consists of copying and pasting at least four comments by a reader who opposes the line of the web site. Perhaps those just fell through the cracks? I can't say. But Mr. Steiner, let's set the record straight here on the question of civility, shall we? I'll freely admit that I either directly or indirectly referred to you in previous posts as "politically blinkered", "trafficking in the politics of the upper middle class" and as holding the working class in contempt, the latter charge by the way being the same charge that Frank Brenner leveled against the SEP in the original blog posting. I'll also admit that this wasn't the most polite form of discourse to say the least, but these were all predicated upon an analysis of the positions either you or Frank Brenner have publicly taken on this blog. That doesn't necessarily mean my conclusions were correct, but that is where they all began. Now, how did you respond to me? I was referred to as an "internet troll of no consequence" and as basically a keyboard jockey living in my mom's basement. Such criticism is comprised of nothing more than subjective vitriol. Of course, this is your blog and it's your prerogative to set standards of civil discourse however you see fit, but that's the actual record nonetheless. Going back to anonymous above, for the purposes of argument, let's say you're right. That while the WSWS was correct to say that the Janus decision was a defeat for the unions, they were fatally mistaken in not also calling this a defeat for the working class. When AFSCME's lead counsel noted in the proceedings that "union security is the trade off for no strikes," the WSWS was therefore wrong to condemn such a statement, meaning that the working class should not be taking part in strikes at all. Making the connection to the blog post above, Eric London and by extension the WSWS were also wrong to criticize SFulmer and his clear inference that worker strikes are an inherent mistake and should be avoided whenever possible. Given all I had written in my previous post, and also given that the WSWS and the ICFI have a purely nominal affiliation with Marxism as you claim, then this would eventually find expression in the embrace of the party by the capitalist state. Finally, the Trots have come in from the cold! The WSWS would find its articles promoted rather than demoted by search engines, reposted on mainstream media outlets and generally celebrated as the official critical opposition, or at least one of the official critical opposition parties, within the American State. By contrast, the unions and their supporters within what the WSWS derisively refers to as the "pseudo-left" including the International Socialist Organization and the DSA, i.e. those groups that consider the unions to be genuine workers organizations, would be victims of search algorithm manipulation, their postings would receive negative prejudicial mistreatment on the news and on social media and their sister parties in other countries would find themselves and their members on extreme left watch lists. Finally, the WSWS would receive active assistance from the capitalist state to openly promote its own brand of anti-working class politics, based on rejection of the trade unions as legitimate institutions of the fight for socialism and on this basis lead the workers to demoralization and defeat. The SEP would use its new exalted position to advocate for the creation of rank and file committees of workers along with fighting for the political independence of the working class knowing in advance that this perspective, no matter how well implemented, would doom the workers to defeat. And this last point really gets to the crux of the matter. You write, "The SEP's official line as far as I can tell is now that workers should join with management in fighting against any attempt at unionizing a workplace, that current union members should simply resign and that workers are actually better off negotiating with employers on their own." According to this perspective, any opposition to the unions can only be of a right wing character. Your choice is either between the trade union bureaucracy or management. On the contrary, the SEP calls for workers to boot the trade unions out of the factories and workplaces precisely because they're in active collusion with management. You're dealing with a privileged social layer in the bureaucrats with salaries often well into the six figures and in the case of the UAW, a union that actively receives bribes from the company itself and of course as far as the unions go, that is no aberration. This is precisely why the WSWS calls for the formation of independent rank and file committees. Independent of the Democrats, Independent of the Republicans, Independent of both management and the trade unions. Alex Steiner likens the independent activity of the working class and the trade unions to two horses pulling the same cart. In fact, that analogy actually works if the horses are pulling in opposite directions. Hen then asks me what other mechanisms I think the workers have to get their needs met besides the trade unions. My answer: Try reading about the Russian Revolution sometime. There is nothing about supporting organizing rights that necessarily leads to an anti-strike position. That makes no sense. In fact the opposite is true: any resurgence of class struggle in the US is obviously going to come into conflict with Right to Work and other anti-worker laws pushed through over the last few decades. 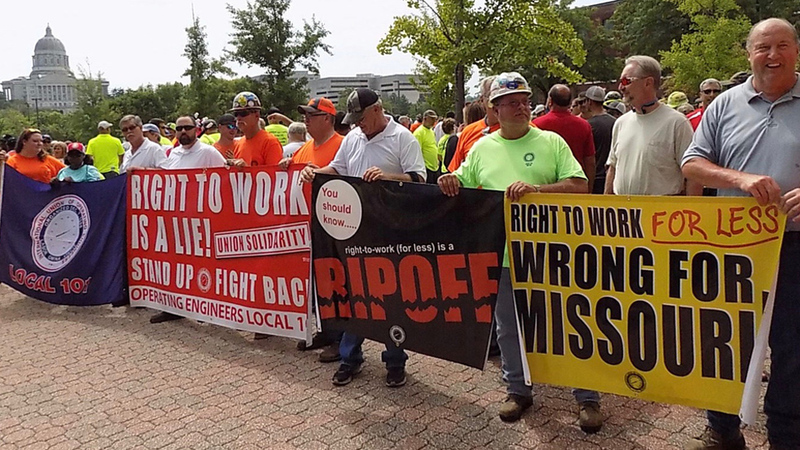 We're already seeing a taste of that with the repeal of Missouri's RTW law, where workers voted 2:1 to reject the SEP's insistence that "workers have absolutely no interest in upholding the power of the unions to forcibly extract dues." Your approach on this is a perfect example of throwing the baby out with the bathwater. Ruling class attacks on organizing rights might hurt the union bureaucracy's lavish salaries in the short term but the bigger target and victim is the working class. RTW laws are not specific to bad unions but target the rights of any organization present or future (like, say, a rank-and-file committee) that seeks to organize workers and bargain collectively. Your own organization made this point in article after article on this subject for years. It's also worth noting that you've once again flipped positions. A few days ago you described laws banning compulsory dues as "an attack on their fundamental ability to organize." Now you apparently regard the Janus line as correct and believe that compulsory dues are not fundamental to the ability to organize and should be prohibited by the capitalist state, since all they do is guarantee lavish salaries for bureaucrats. Why the consistent inability of either the WSWS or multiple SEPers now to offer straight answers to basic questions that've been central to the socialist and labor movements for generations? You go on to make the case that if there were actually some real political failure here "then this would eventually find expression in the embrace of the party by the capitalist state." If this is supposed to be some kind of handwaving excuse for their trainwreck of a political line then it fails badly. There are obviously all sorts of organizations with atrocious and anti-Marxist politics that aren't integrated into the political establishment. The idea that any organization is basically healthy and immune to degeneration so long as it isn't overtly courted by the ruling class is ludicrous. Nor does being targeted for censorship and surveillance tell us much. Internet censorship has targeted a long list of periodicals across the political spectrum, including many you would call 'pseudo-left.' Censorship of the right has actually been way more aggressive and severe than anything the WSWS has experienced - the Daily Caller was literally banned from the internet overnight. We're now in a situation where sites like the WSWS only exist because they're allowed to exist by the tech companies. Internet-based groups like the SEP could be decimated with the click of a mouse and they couldn't do a thing to stop it. Do you really think that's something to boast about? Finally I should point out that a basically right-wing approach to the unions is the WSWS' perspective, not mine. It is very much possible to attack the unions from the left but their polemics in favor of Right to Work are coming from the right, not the left. You claim the rank-and-file committee demand shows they don't side with management but they've never made their attitude conditional on the formation of a committee that would supplant a corporatist union. Their position seems to be that workers as a rule are better off with no representation at all than with union representation of any kind, and that workers should push for union decertification even in the absence of an independent workers' committee. Their claims that unions universally suppress wages and act as extensions of management (i.e. that non-union workplaces are preferable to organized ones) also imply that workers would get raises and gain workplace power if all they do is decertify - no rank-and-file committee (let alone class struggle) required. These are false and objectively right-wing positions. There's also a real question about whether this demand should be taken seriously in the first place. This is after all a position they've espoused for more than two decades. Can you point to a single example of its successful implementation in all that time? This demand increasingly looks like empty rhetoric, a radical-sounding slogan meant to provide left cover for their sectarian union-bashing and abstention from any kind of real world workplace organizing. I am once more indebted to the Anonymous commenter whose response to Reese didn't leave much else to say. I notice that both Reese and Mr. London have left the scene. I am left with a couple of footnotes to cleanup. First footnote: Being polite is not the issue here. It is your repeated misrepresentations of our position. We shall see if you can restrain this impulse in the future. Second footnote: You cite as an alternative to unions the Russian Revolution. Are you claiming that we are in a revolutionary or pre-revolutionary situation and that Soviets are on the agenda in the immediate future? Furthermore, if you actually study the history of the Russian Revolution - and by that I don't mean listening to David North's speeches but actually reading some scholarly books on this event - Trotsky's History is of course key, but that should also be supplemented today with recent scholarship such as Alexander Rabinowitch's "The Bolsheviks Come To Power" - then you would know that one of the keys to the ability of the Bolsheviks to win a majority in the Petrograd Soviet and turn the revolution toward the seizure of power by the working class was their ability to win support from the unions. 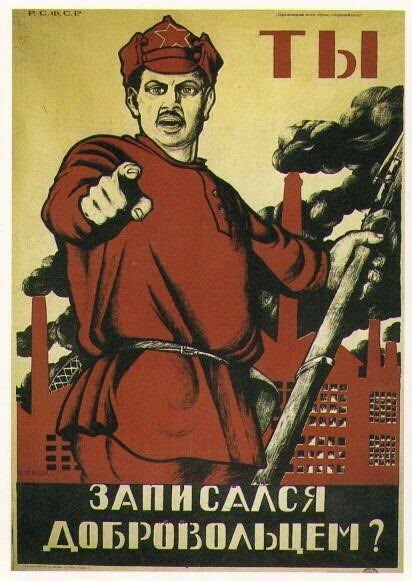 And that in turn was the fruit of years of work by Bolshevik militants in the unions. It's something we discussed in Chapter 5 of Marxism Without its Head or its Heart. Which of course you never read. What do you think of the SEP's constant denigration and attacks on all other left-wing or socialist organizations? I've never heard them praise another organization but only call them pseudo-leftists, etc. Is this helping their cause or hurting it in your opinion? I think they are very short-sighted. Whether the use of such language serves their cause depends on what you consider their cause to be. 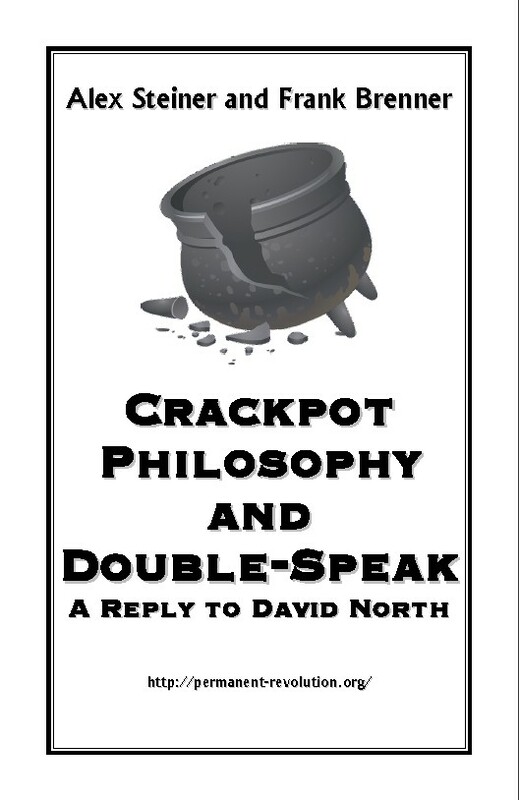 It certainly encourages the isolation of their members from any contact with ideas that do not emanate from the Central Committee of the SEP and ultimately from David North. Their fear of exposing their members to "alien ideas" goes along with their unanimous votes in yet another National Congress. These are all expressions of a sect that lives in its own bubble. This has been the case for a long time but what is new is that this practice has finally pushed this organization beyond the pale, so to speak, where they can no longer be considered a working class organization. Their coverage of the Kavanaugh fiasco has been nothing short of breathtaking. I suppose that is one way to describe their coverage. I would rather call it an abomination. As part of their attempt to deflect attention for their contempt for the female victims of sexual abuse they bring up the point over and over again that we must defend the presumption of innocence and due process. And it is true that in a legal proceeding such as a criminal trial there should indeed be a presumption of innocence and due process. But as countless commentators have pointed out, the Kavanaugh hearing was not a criminal trial but a job interview. And it is perfectly legitimate in such a proceeding to draw certain conclusions based on one’s judgment of the credibility of the testimony. Any objective observer would have to conclude Dr. Blasey Ford’s testimony was completely credible and that Kavanaugh was lying. Kavanaugh was clearly guilty of perjury in some of his testimony. It is true that none of this constitutes proof that Kavanuagh committed the crime he was accused of, but again this was not a criminal trial and the level of evidence required to form a judgment as to this person’s qualifications for one of the most important and powerful positions in the country does not rise to the level required for a guilty verdict in a criminal trial. It would be quite odd if it did as that would make it practically impossible to ever form a reasonable judgment about anyone applying for an important job. The WSWS also carried on that the concentration on the allegations of sexual abuse by Kavanaugh was an attempt by the Democrats to distract attention away from their failure to fight the Kavanaugh nomination on the basis of his reactionary politics and history of supporting torture, etc. There is some truth to that, but why does it follow therefore that Kavanaugh’s history of sexual abuse and his contemptuous behavior in the hearing and his perjury are therefore of no consequence? Isn’t it a slap in the face at all victims of sexual abuse to simply dismiss Dr. Blasey Ford’s testimony as an irrelevant side-show as the WSWS has done? Mr Steiner, you stole the words right out of my mouth in your assessment of their coverage! Why do they insist that standards of a criminal trial should be invoked in contexts outside a criminal trial? "Why do they [The World Socialist Web Site and the SEP] insist that standards of a criminal trial should be invoked in contexts outside a criminal trial?" The SEP has been inflicted with a disease called sectarianism, that's why. This has been festering for decades but in the recent period it has entered its terminal phase. We have written quite a bit about this and you may wish to read some of the material on this web site. In this case, they take the formula, perfectly correct in the context of a criminal trial, that someone is innocent until proven guilty, and apply it as some sort of absolute principle in a context where it does not belong. The result is that instead of defending democratic rights, they have moved in a 180 degree direction into a defense of the most reactionary segments of society.